Imagine strolling down the French Riviera with a more exotic flavour and you’ve pretty much capture the feel of the Bodrum Peninsula in Turkey. But what makes Turkey’s version of Côte d’Azur so stylish? Picture a super glamourous seaside hotel, snuggled a the top of a hillside smothered with magenta bougainvillea! 74 luxury bohemian rooms, complete with either terraces or private balconies are furnished with Turkish artwork and beautiful cream shades and a dash of designer Rifat Ozbeck here and there. We recommend you splash the cash for a stunning sea-view suite as alas, the cheaper room as on the small side. On the far-out yet delightfully bustling town of Turkbuku hangs a jetset near Bodrum. Macakizi is nothing less than perfect for the laid-back, stylish individual (or more.) But the best is yet to come, as one cannot possibly enjoy the wonder that is the Macakizi hotel without gently bronzing on plush, white cushions out on the sun-decks overlooking the glistening Aegean. If you don’t like sipping cocktails, soaking up the gorgeous sunlight and nonchalantly people-watching then this place is not for you! Don’t forget to try out the pool as you head down the hill, but the real life of the hotel is around the jetties at the bottom. Work out at the gym, wind down with Pilates as you soak up the view of the bay. And if you need that extra special something, hammam treatments are available! The prize winner for the Macakizi hotel is none other than the beach club that sits over the Tubuku waters, complete with gourmet restaurant, comfortably hilly location and a entertaining bar scene. The mother and son dream team Ayla Emiroglu and Sahir Erozan run the Macakizi Hotel with supreme efficiency. It’s important to note though that the club-atmosphere might put off couples seeking a romantic retreat but theres nothing stopping you coming out of the high season months of July and August for that perfect week in the sun. Food is another perk that scores Macakizi hotel so highly. Modern Turkish cuisine is served by the incredible Aret Sahakyan and breakfast, plus a three course dinner at their alfresco restaurant is all included in the price of your stay. 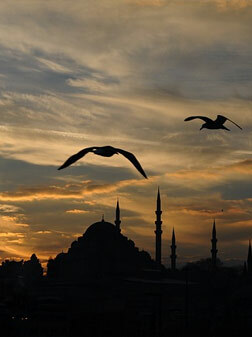 – Macakizi hotel is within your reach by seaplane from Istanbul as early as May. – Touch down is right on the Macakizi beach, could that be more convenient or supercool? Macakizi Hotel: the ultimate arty package for those seeking the lazy, Mediterranean bliss experience.